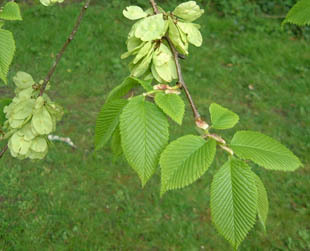 Wych Elm is a native, deciduous tree growing to 40m. 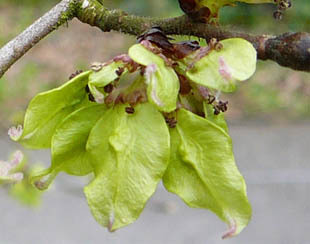 The flowers has no obvious petals and appear before the leaves. 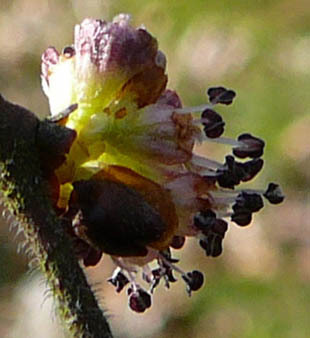 Each flower has 4-5 red-purple stamens. There are 2 styles and with linear stigmas. 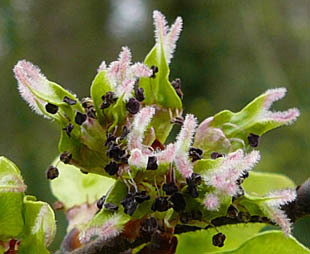 and are mature by May. 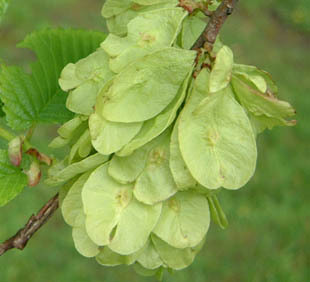 Leaves are dark green and lanceolate.